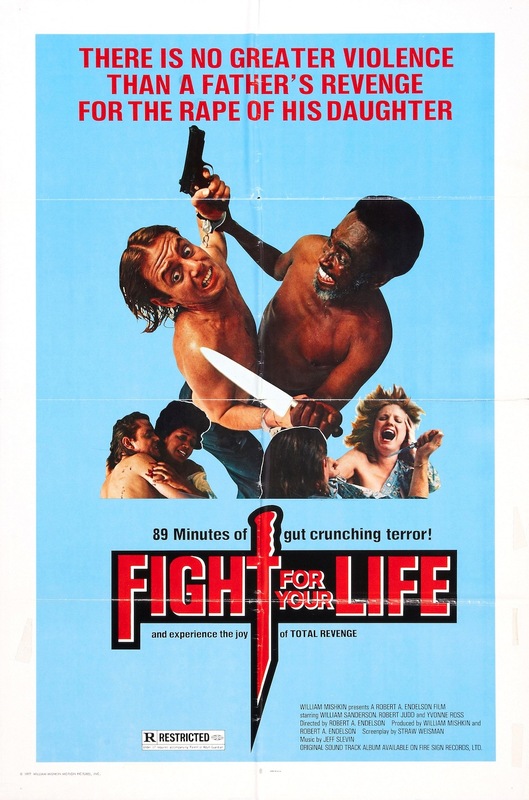 Fight for Your Life isn’t necessarily considered a horror movie (Perhaps if it had been released widely under its much cooler alternate title, Bloodbath at 1313 Fury Road; no, really, that was a thing. ), but it’s actually not much different from torture/revenge “horror” flicks like I Spit on Your Grave or Last House on the Left. This one is as politically incorrect as any of them, with not only the requisite physical and sexual abuse, but also child murder and racial epithets to spare. 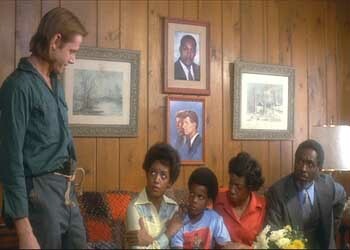 The story is pretty basic: three escaped convicts take a black preacher’s (Robert Judd) family hostage in order to lay low while the cops are hot on their tails. Because everyone needs a little entertainment, they proceed to abuse and humiliate the family for hours. The primary offender is gang leader Kane (William Sanderson, better known as Larry from the TV show Newhart), a racist redneck who wears a rope for a belt — ‘cuz you never know when you might need to go a-lynchin’! 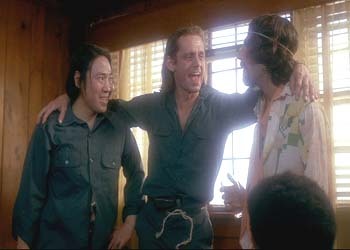 The criminals are equal opportunity stereotypes: one white, one Hispanic, one Asian, all psychotic. 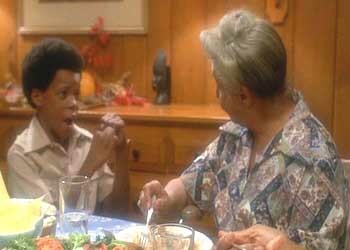 As with all movies of this ilk, it’s uncomfortable to watch, but the racial element makes it doubly so. If you’re a white person looking for something to watch with a black friend, might I suggest something less inflammatory, like Birth of a Nation. Still, Fight for Your Life‘s aim is discomfort, and on that level it succeeds (thanks largely to Sanderson’s gleefully sleazy performance). It’s a well-made, gritty exploitation movie. 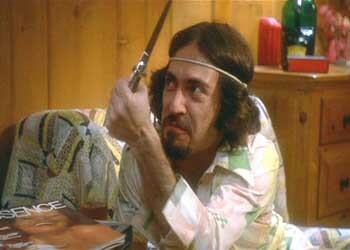 And like any good revenge flick, there’s ample opportunity for revenge…although frankly, it could’ve gone further. I’m not sure what the moral of the story is; for all of the preacher’s talk of turning the other cheek, he sure changes his tune by the end. I suppose Go Limp for Your Life would’ve made for a pretty dull flick. This is NOT what Jesse Jackson had in mind for the Rainbow Coalition.